The Master of International Business combines concrete global business skills with a nuanced understanding of core international affairs areas including geopolitics, law, negotiations, and economics. 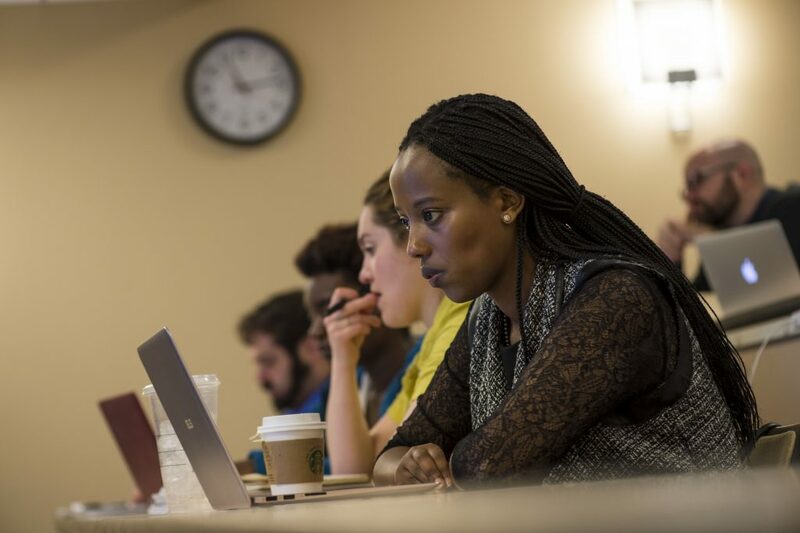 Designed like a dual MBA-international affairs degree, the curriculum develops deep competency in international business practices and a nuanced understanding of the global business context. In a world where business is not only affected by new technologies, conflicts, laws, and leaders, but is also essential to the solving problems and unlocking the opportunities they present, the MIB is more critical than ever. The degree is uniquely positioned to develop your contextual intelligence by honing the ability to recognize the impact of politics, law, culture, and society on the world of business. Building upon Fletcher’s spirit of innovation and mission to educate leaders with a global perspective, the Master of Global Business Administration meets the needs of highly talented, promising students whose circumstances preclude them from partaking in the traditional, in-residence graduate school experience. This digitally mediated program, which combines graduate-level study in business with international affairs, affords the opportunity to earn a degree using cutting-edge technology and production while remaining in the job market and without uprooting one’s life. The School has a tradition of being a digital pioneer, and the GBA builds on that tradition. Nearly 20 years ago, Fletcher was a leader in technology-mediated education in launching the Global Master of Arts (GMAP). Ten years ago, with the launch of the Master of International Business (MIB) program, Fletcher led a new frontier in business education, preparing business leaders with contextual intelligence. Five years ago, the Digital Planet initiative, which studies how “digital innovation meets the world,” was created. Building upon this pioneering tradition, Fletcher is taking the next step to meet the needs of an entirely new population of students.